There are few things that are as thrilling as martial combat! We enjoy recreating medieval combat as a safe adrenaline producing sport. We have loaner equipment available, and would be happy to help suit you up. Have you ever wanted to learn the art of historical sword fencing? Please come and fight with us! We have gear for anyone to try it and teachers to show you the way of the blade. We can teach you to fight better that the 3 musketeers. Nothing quite feels like holding and knowing how to handle a real rapier sword. Archery in the SCA is divided into two categories: target and combat. Target archery promotes the use and mastery of traditional and medieval forms, and while period style bows are encouraged, any bow that is not a compound bow can be used at our practices. Combat archery is a division of heavy fighting using specially designed arrows, and is generally found on the war field. While combat archers fight those brave men with bigger sticks on the war field, target archers fight each other with scores and special shoots, both within the kingdom and Knowne World. WAAAAAARRRRRRRRRRRR! The ringing shouts of battle. The thrill of the kill. This is Heavy Armored Combat in the SCA. Terrified? You really shouldn't be. 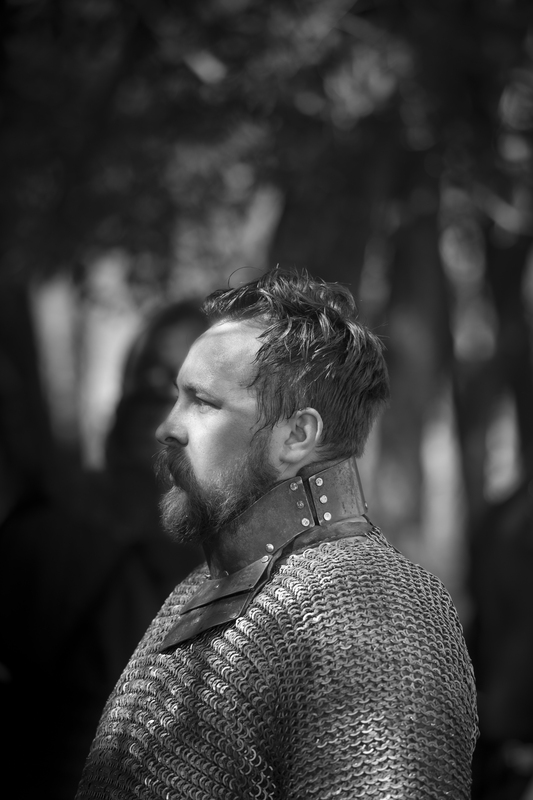 The SCA treats Heavy Armored Combat as a full contact sport. Like modern sports, there are rules and protective equipment used to keep the players safe. The Shire of Cote du Ciel has loaner gear available, and we're happy to show you the ropes. Heavy Armored Combat falls into two general categories; battles and tournaments. Battles typically feature groups of fighters that are divided into two groups that fight. Sometimes scenarios are devised, giving each group goals to achieve during the fight. Tournaments generally have a list of fighters that fight one on one in a bracket until one fighter emerges victorious. At our weekly meetings we practice to improve our skills and have a grand time! We invite you to come see what we're all about. 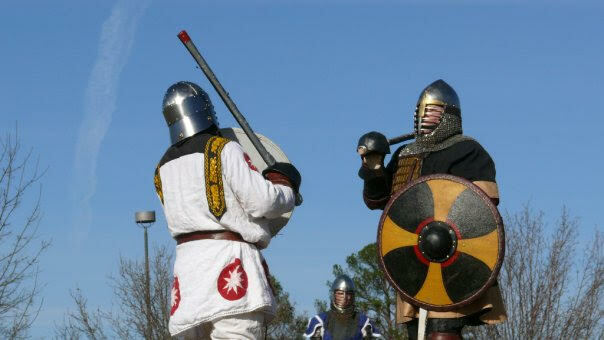 For additional information about heavy combat in the SCA, check out this link here which will take you to an article on the SCA website that describes heavy combat.